This is a real-time interactive water simulation. 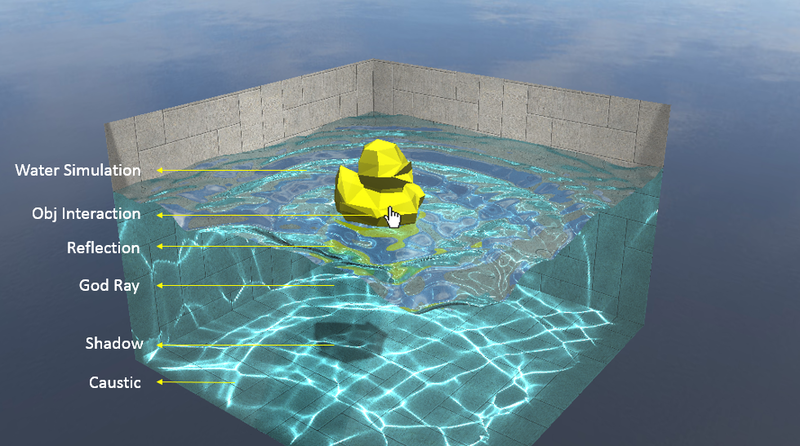 The features include obj interaction, mouse interaction, water simulation, reflection & refraction, caustics, shadow map and god ray. Click picture below to go to Live Demo Page.